Eczema is a condition which is often difficult or impossible to treat. However, the suggestions aromatherapy offers, involve practically no risk and have a strong potential for success. The suggested treatment has evolved from the French style of aromatherapy. 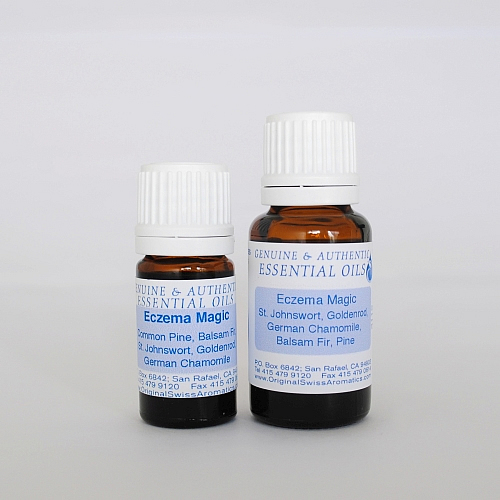 The language of Traditional Chinese Medicine recognizes the difficulty in treating eczema when it describes it as a condition which is characterized by the simultaneous presence of excessive dryness and excess dampness. Conventional treatment strategies - western or otherwise - tend to treat one or the other, only to be successful initially, but not to produce permanent improvement. A holistic strategy evolving from the recognition that two opposing factors are simultaneously present, suggests to harmonize rather than treat one aspect or the other. 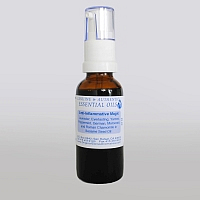 Attempting to regenerate and sooth the skin with essential oils which firmly hold “the Middle” leads to a blend which generates as little as possible physical sensation when applied, but still regenerates and normalizes the skin, while also supporting the all-important kidney function. The oils used in this suggested synergy are St. Johnswort, Wild Carrot and a blend of extremely mild needle essential oils. 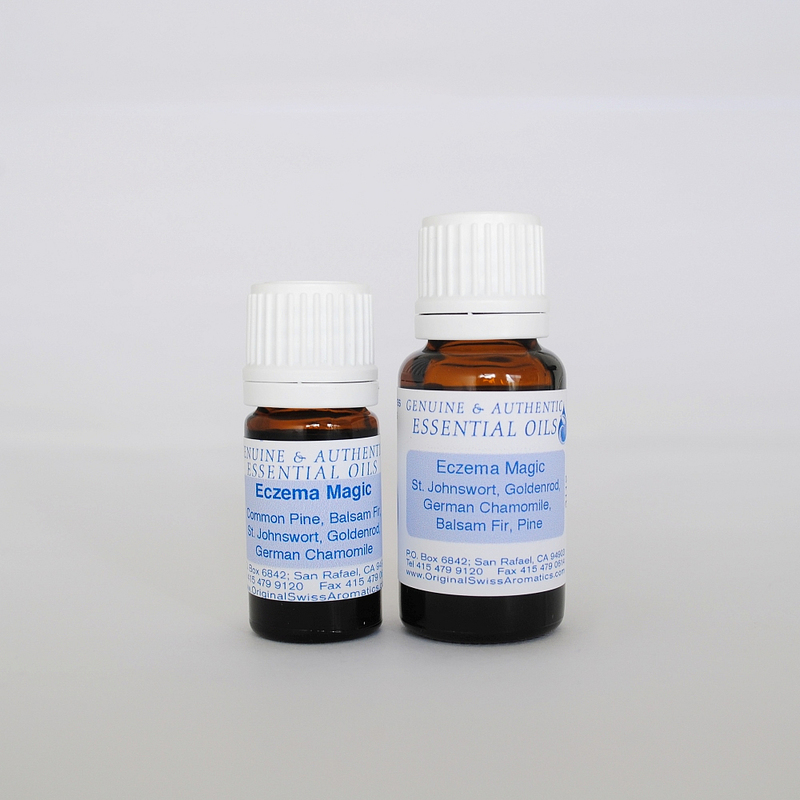 For eczema treatments, it appears to be practical to integrate the essential oils into a nonoily base, as an oily sensation often is quite distressing to the eczema patient. It has been our experience that water Aloe vera gels or water-based acrylic gels, even though being synthetic, provide the effective, while convenient, means of delivery. Dogmatic insistence on natural carrier materials often leads to abandoning the treatment and is hence sometimes self-defeating. These statements have not been evaluated by the Food and Drug Administration. Apply 2 - 3 times daily. Works best when applied with Aloe Vera gel. Ingredients: Common Pine, Balsam Fir, St. Johnswort, Goldenrod, and German Chamomile.